Found this recipe on a page ripped out from a magazine. I love the taste of coconut combined with almond flavoring and peach jam. You can use any jam of your choice, raspberry would be another good choice. You will want to use a firm jam, not too soft. 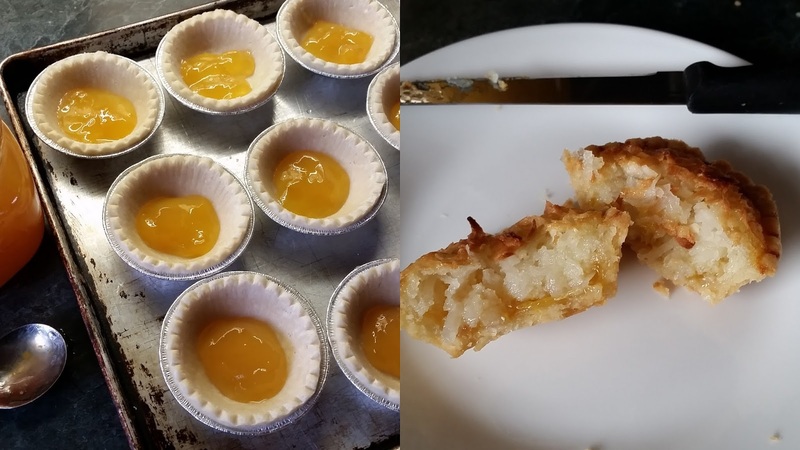 The peach jam I used was a bit too soft, I would have liked more of the jam to show in the tart. 15 - 3" tart shells, placed on a baking sheet. Whisk together eggs, water, sugar, almond extract, coconut, and baking powder. Scoop 1 teaspoon of jam into each tart shell. Spoon coconut mixture over jam in each tart. Bake in a 425º oven for 10 minutes then reduce heat to 350º and bake for another 15 minutes until golden brown. They will puff up as they bake, then deflate a little as they cool. 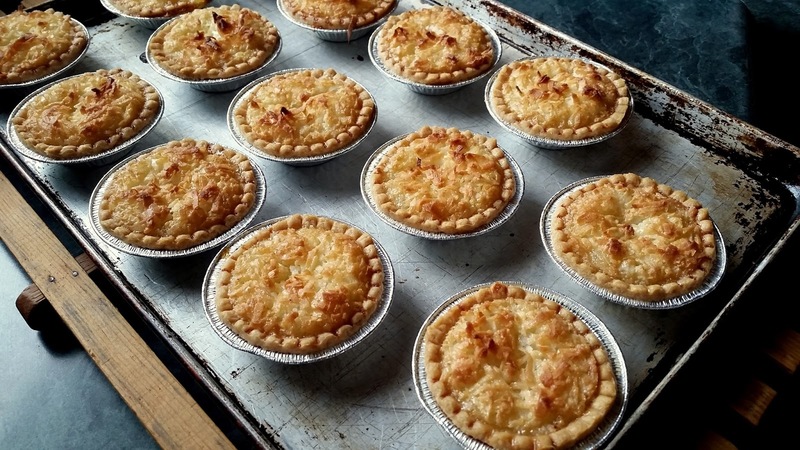 These tarts are a nice treat to enjoy warm or you can freeze them for another occasion. Curious if you used sweetened or unsweetened tart shells? Alicia, I used unsweetened tart shells. My mom's recipe.mix together 2 eggs,3/4cup sugar, 1tsp cornstarch ,1/4 cup melted butter.1 tsp vanilla, 11/2 cups coconut, salt.